If you need your license, you need to call the office of Michael B. Goldstein. Together with his wife, Attorney Shannon Goldstein, they fight for the rights of clients facing criminal charges or traffic violation at the Larson Justice Center in Indio as well as driver's license suspension hearings through the Department of Motor Vehicle offices in San Bernardino and Palm Springs. The firm also provides criminal defense for a wide range of criminal charges, including domestic violence, theft, drug charges and warrants. As DUI defense attorneys and DMV hearing lawyers, the firm offers a one-two defense aimed at protecting your freedom and your right to drive through the Indio criminal court system and DMV Administrative Per Se Hearing in San Bernardino and Palm Springs. The heavy focus on traffic law is virtually unparalleled and provides clients with a high-powered offense in the wake of serious driving or criminal charges. Michael B. Goldstein, a Professional Law Corporation, offers a free consultation if you face criminal or drunk driving charges in Indio, San Bernardino, Palm Desert, Palm Springs or the surrounding area. As Palm Springs trucking lawyers and San Bernardino commercial driving attorneys, the office of Michael B. Goldstein is called upon when a comprehensive, high-quality, high-powered defense is needed to protect the rights of commercials drivers. Clients facing the loss of their license or serious traffic or criminal charges know their freedom is in jeopardy. Michael B. Goldstein has spent two decades fighting for the rights of clients and knows what it takes to win cases, protect your right to drive and fight for the best outcome possible in your case. But the firm believes it is equally important for anyone facing a serious traffic violation or DMV suspension to have access to the same aggressive, experienced representation. At the office of Michael B. Goldstein, that is what every client gets. Every time. Michael B. Goldstein offers complete DUI defense for clients facing charges at the Larson Justice Center in Indio, California and Administrative Per Se Hearings at the Department of Motor Vehicles offices in San Bernardino or Palm Springs. Palm Springs DUI Lawyers A drunk driving conviction in California can mean a driver's license suspension, hefty fines and court costs, increased insurance premiums, probation, possible jail time and even the loss of your job. Michael B. Goldstein, a professional law corporation, offers complete DUI defense for clients facing charges at the Larson Justice Center in Indio, California and Administrative Per Se Hearings at the Department of Motor Vehicles offices in San Bernardino or Palm Springs. Just because you've been arrested, doesn't mean you are guilty. Even if the charges include a serious accident, or you were driving with a suspended license at the time, the office of Michael B. Goldstein has the experience to fight for the best outcome possible in your case. Call Palm Springs DUI Lawyer Michael B. Goldstein to discuss your rights before it's too late. Time is important if you want to get the best results for your case for instance, a challenge to a driver's license suspension by the Department of Motor Vehicles must be filed within 10 days of your arrest. Hiring a Palm Desert criminal defense attorney experienced in fighting drunk driving charges can have a positive impact on the outcome of your case. A blood-alcohol (BAC) level of .08 or above doesn't mean you are going to lose your driver's license or your freedom if you have a qualified Indio, California DUI attorney fighting for your rights. Palm Springs DUI Lawyer Michael Goldstein offers a free review of your case. As a veteran drunk driving attorney with almost two decades of experience, he believes clients are innocent until proven otherwise and will aggressively and thoroughly defend your rights. Attorney Goldstein can fight for your rights by challenging evidence, reviewing breath and blood testing procedures and equipment maintenance records, questioning probable cause for the initial stop, studying the arrest report and any videotape for errors in police procedure, and thoroughly investigating the facts and circumstances surrounding your arrest. As a Palm Springs criminal defense lawyer experienced in representing clients charged with drunk driving, Attorney Goldstein will make the prosecution prove each part of its case and will fight to have the charges reduced or even dismissed. Even in the toughest cases, Michael Goldstein will fight for the best possible outcome. Suspension of driver's license Usually, your driver's license is seized by law enforcement when you are arrested for drunk driving in California. You are issued a temporary license and must file a petition within 10 days, requesting a hearing with the Department of Motor Vehicles. Failure to file results in automatic suspension of your driving privileges. DMV licensing hearings are separate from the criminal case. Indio DUI Attorney Michael Goldstein provides complete DUI defense fighting for your rights in court as well as at the DMV license hearing. Attorney Goldstein always attends the DMV hearing in person not via the telephone, which many drunk driving attorneys find more convenient. By actually appearing at the hearing, Michael Goldstein has the opportunity to determine the arresting officer's credibility and confront other evidence. This can give clients a significant advantage in fighting California DUI charges. 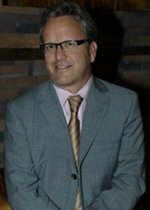 Michael Goldstein's background has been almost exclusively in the practice of California criminal law, beginning as a law clerk for the Riverside County public defender's office, and continuing on through two decades of experience as a local criminal defense and DMV defense attorney. For more than 18 years, Michael Goldstein has build a reputation in Palm Springs as a hard-working, reliable and trustworthy defense attorney with an emphasis on driving under the influence and motor vehicle cases. Michael Goldstein does all of his DMV hearings in person, in either the San Bernardino or Palm Springs Driver Safety Office and has built a solid reputation with the staff in both offices. In fact, he shares the same reputation in the District Attorney's Office, which prosecutes the DUI's that correspond to these hearings. He has had numerous successes at trial as well as in motions and pretrial negotiations. Attorney Goldstein's reputation as a leading DMV attorney often earns numerous referrals from other private criminal defense attorneys and public defenders who recommend him to handle the DMV hearing aspect of their case. Michael Goldstein is a qualified administer of the Field Sobriety Tests (National Highway Traffic Safety Administration); owner and operator of a Preliminary Alcohol Screening (PAS) breath device, which is the breath test offered to arrestees in the field; and a member of California Public Defenders Association, California Attorneys for Criminal Justice, National Association of Criminal Defense Lawyers and the California DUI Lawyers Association. Shannon Goldstein interned at the DA's office during law school, where she learned how prosecutors operate -knowledge she now puts to use fighting for clients alongside her husband at Michael B. Goldstein, a Professional Law Corporation. She also interned for an L.A. criminal defense attorney, where she worked for several years upon graduating. 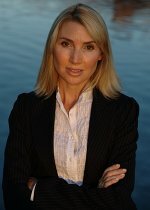 Shannon Goldstein earned extensive additional experience as a criminal defense attorney in Sherman Oaks before moving to Palm Springs in 1998. She met Michael at the Joshua Tree Courthouse, while appearing on unrelated matters, and the rest, as they say, is history. They were married in 1998 and Shannon worked as an associate for a highly reputable criminal defense and civil litigation firm in Palm Desert from 1998 to 2003. There, she practiced almost exclusively criminal defense with an emphasis on DUI law until her first child was born on Jan. 1, 2004. Michael and Shannon are now blessed with two children, Matthew and Hailey. Today, Shannon works with Michael on all aspects of the practice, including but not limited to, appearances, research, writing, hearings, motions and trials. At Michael B. Goldstein, a Professional Law Corporation, fighting for your rights is a family affair.